The US produces more soybeans each year than any other country. Brazil’s soaring production and the increasing popularity of planting corn in the US corn belt threaten US soybean farmers’ primacy. 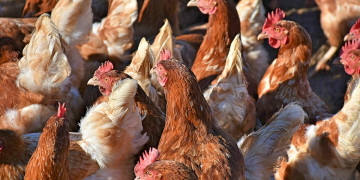 The emergence of a global middle class that demands increasing meat tonnage each year has led to the skyrocketing popularity of soybeans as an excellent source of protein for livestock. 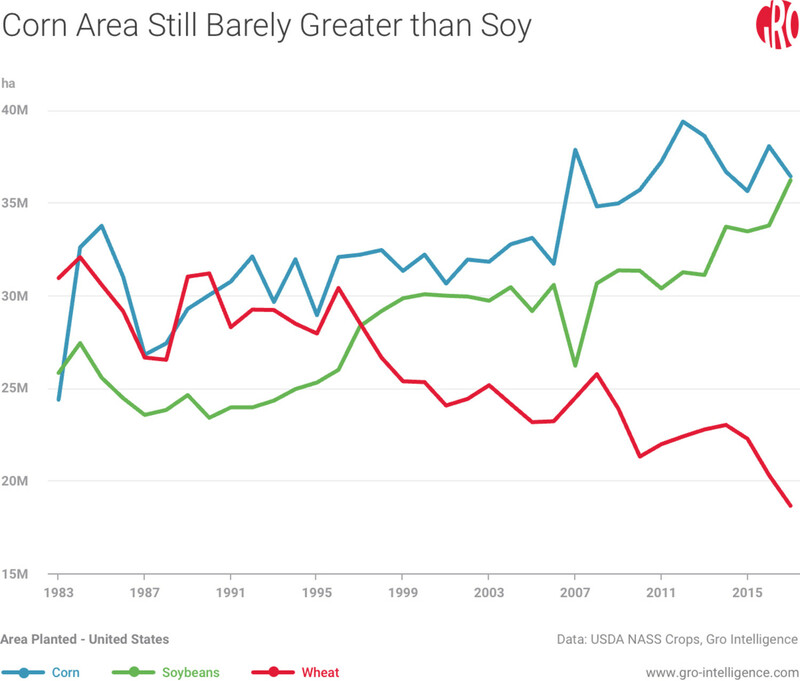 Although the US pioneered and still leads modern soybean processing—while soybean oil makes up most of the US vegetable oil supply—regulations and trade disputes limit the country’s potential. Experts estimate that all regulations cost US workers on average $13,000 each per year. 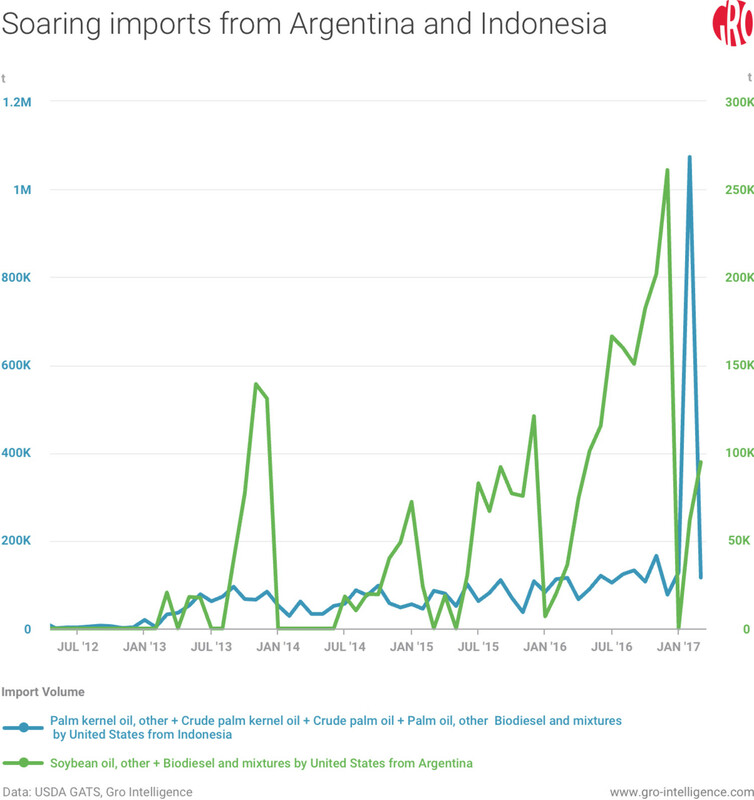 US trade authorities’ recent characterization of Argentine and Indonesian soybean oil/biodiesel imports as “dumping” illustrates that cost vividly. The dispute shows how interactions between multiple well-meaning regulations can lead to an unintended and unfortunate outcome. Soybeans are the second most grown crop in the United States—just barely behind corn. Originally cultivated and crudely processed since the earliest Chinese recorded history, they first came to the future US in 1765. That year, farmers in the British Georgia colony planted seeds imported from the Far East by traders and merchants. They grew well in the Southern climate. For about 150 years, Americans continued to grow soybeans, but regarded the crop as fit only for animals to eat. Then in the early 20th century, US agronomists developed processing methods which made them significantly more valuable, cleanly separating the soybeans’ oil and high-protein meal from each other. Nowadays the industrial crushing and chemical extraction of various nutrients from the raw beans takes place in multiple locations mostly scattered around the Midwest. After processing, two major products remain: soybean meal and soybean oil. The meal mainly goes into livestock rations. Soybean oil now has multiple roles, but historically has gone for human consumption. The food industry invented the term “vegetable oil” to describe plant-derived oil used for food. This innovation now appears to have acted as a method to obscure inclusion of undesirable oils such as palm oil. Following the introduction of the Food Information to Consumers Regulation, in December 2014, all food products produced in the European Union are legally required to indicate the specific vegetable oil used in their manufacture. Across the Atlantic, oils that consumers want―like olive and coconut oil―are proudly labeled as such, whereas the others just get dumped into the tank labeled “vegetable oil.” Soybean oil dominates the US vegetable oil supply. In 2007, then President George W. Bush signed the Energy Independence and Security Act. The act mandated greatly expanded use of fuel derived from biological sources like corn-based ethanol and biodiesel refined from soybean oil. These green energy sources cost much more than fossil fuel, and therefore require government subsidy and coercion to grow beyond experimental use. As a direct consequence of the Bush Administration legislation, biodiesel manufacture and use ballooned from 260MM gallons in 2006 to 1.6 billion gallons in 2016. This rapid growth took place in an extremely forgiving environment. The US provided $1 per gallon (around 30 percent) of tax credit, a costly policy that ended in 2016. Farm state legislators are currently working to extend the incentive program, but they need to figure out how to keep foreign producers from claiming the American credit on top of already-generous programs in their own countries. 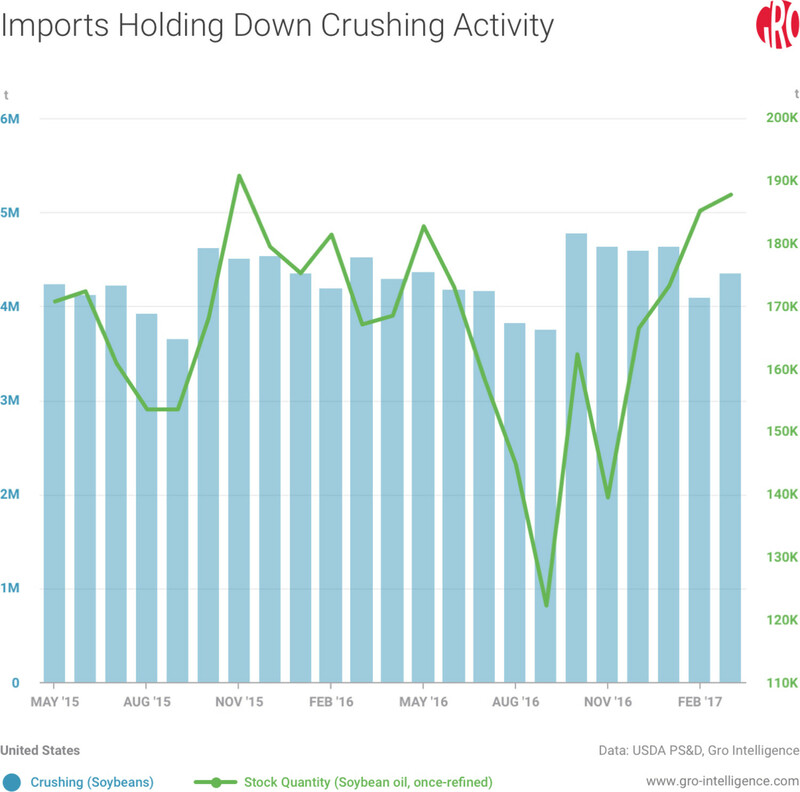 Alongside booming production, the US also began to import soybean oil and finished biodiesel. It seems like “bringing sand to the beach,” but some aspects of US imports make financial sense due to geography, even with no gaming of subsidies. 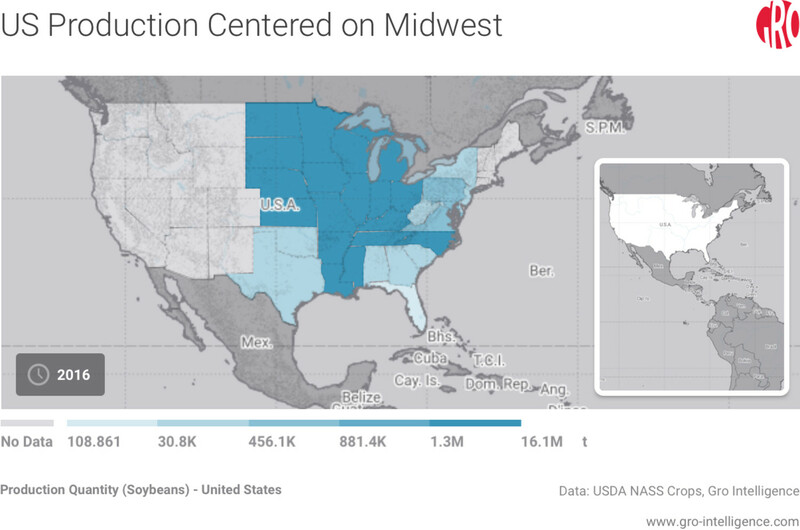 Understandably, most of the US soybeans, soybean products, and biodiesel comes from the areas where soybeans are grown. Consumption, however, is distributed across the North American continent according to population. In this way, transportation expense becomes an important part of the price. Furthermore, the US had greatly complicated its intra-national flow of goods by passing the Merchant Marine Act in 1920. Also known as the Jones Act, this legislation requires that all goods going from a domestic origin to a domestic destination must travel on a domestically owned vessel of domestic construction crewed entirely by US employees (green cards accepted). These requirements rule out more than 99 percent of the cargo vessels in the world, and the shrinking, increasingly decrepit, and ill-managed Jones Act-compliant vessels have become prone to poor performance and mishaps such as the SS El Faro’s sinking in 2015. Over the near-century since its passage, shippers have adapted to the problems caused by the Jones Act. As a result, no intra-US soybean oil shipping capacity remains in the domestic fleet. The only legal way to get the oil from barge terminals on the Mississippi River to destinations on the Eastern Seaboard is overland. Hawaiians who want to ship goods to the mainland US normally use air freight, which costs four times as much as international maritime shipping, but less than complying with the Act. The average daily cost for vessels operating between California and Alaska is about $11,500 for crewing alone, compared to $2,000 for a foreign crew, according to Reuters. So a solution to the unbearable expense of complying with the Jones Act in the Southeast US and the West Coast emerges: imports from abroad. Foreign soybean producers and processors have leapt into the price gap created by poor US regulation, and have rapidly increased their supplies to hungry American hogs and vehicles. It seems like an elegant solution to an unforced error. On top of the logistics issue, many market participants think that Argentina and Indonesia have begun to subsidize and “dump” their vegetable oils in the US market. Soybean meal feeds wildly popular pigs, but every time we crush beans we also get soybean oil. Sometimes, the supply of oil becomes burdensome, and getting rid of it by underhanded means can have a strong appeal. 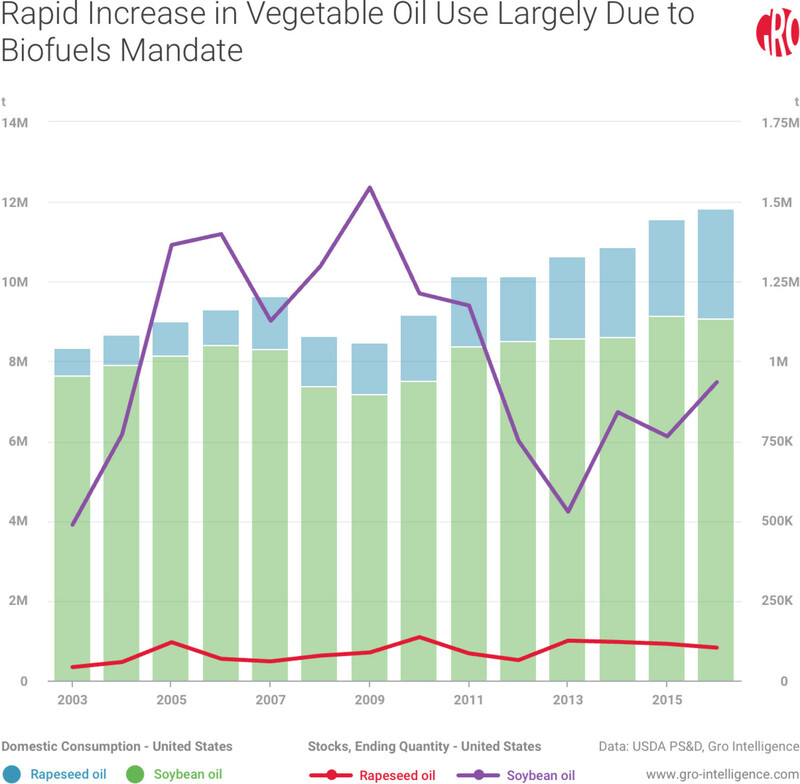 In fact, some analysts think that one of the reasons for the biodiesel mandate itself was just to use up extra soybean oil. Likewise, the targeted trade partners have used various credits, incentives, and other arcane dodges to make the actual market price of their biodiesel almost impossible to ascertain. Partly as a result, Argentina and Indonesia successfully exported 1.85 million tons of biodiesel to the US in 2016, approximately 25 percent of the total American supply. 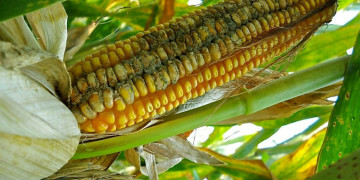 The European Union claimed a similar grievance in 2013 and slapped a 19 percent duty on Indonesian and a 25 percent duty on Argentine biodiesel imports. The US International Trade Commission (ITC) stated on May 5 that they had made an “affirmative determination” that the two exporting countries were engaging in non-competitive trade practices, which usually precedes the imposition of punitive tariffs. Indeed, the soybean oil market now gleefully expects tariffs, and futures prices rose 3 percent on the day of the ITC announcement. This dispute will continue to boost US prices of soybean oil and biodiesel until equilibrium reestablishes itself at a higher level. 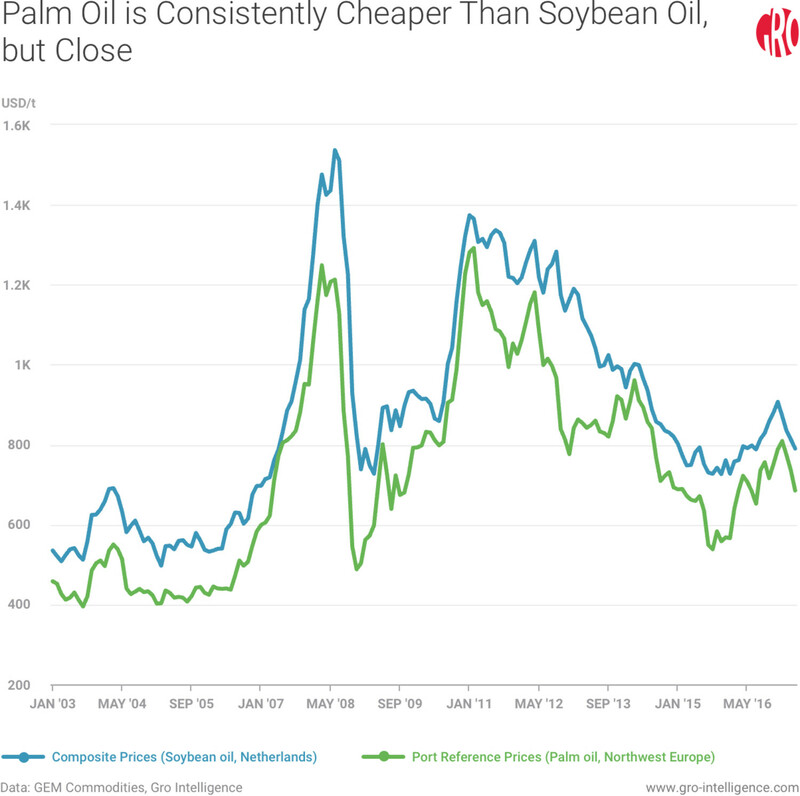 It should hurt the prices of Indonesian palm oil and Argentine soybean oil. Less apparently, US soybean meal prices should decline due to supplies rising from beans being crushed to provide oil to substitute for the old imports. We expect a net bullish effect on US soybeans with the reduction in foreign oil supply. These dislocations would never have happened without decades of market-distorting policy from all sides. A desire to protect the special interests of economically uncompetitive merchant marine companies led to the abominable Jones Act. 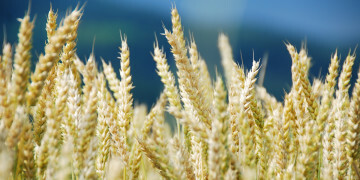 A desire to boost farmers’ profits, perhaps reduce carbon emissions, and cut into OPEC’s oil revenue gave us the biodiesel and ethanol mandates along with their distortive maze of subsidies and regulations. Now, with these policies in the US and others abroad stepping on each other and foreign exporters taking advantage, the US intends to enact yet another rule as a band-aid on the broken leg of its soybean oil/biodiesel trade regime.